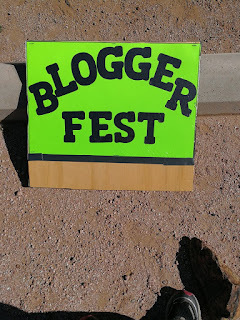 A friend took on making new signs for Bloggerfest as a project today. They have turned out much better than I could have done. This one will be placed at the turn off to the Ramada/shelter house in La Posa South on Saturday. Hope to see as many of you as possible. 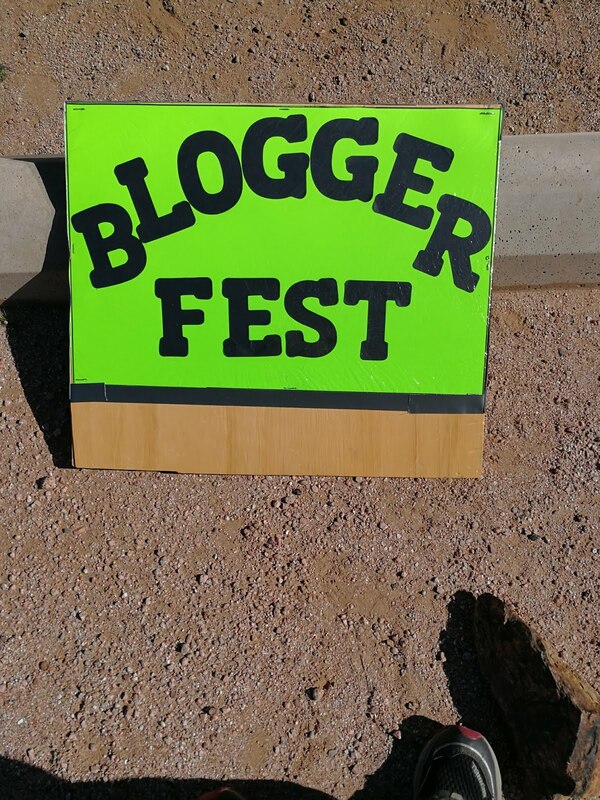 Hey they look amazing we will see you there, late , but we will be there.